The Original Super 6 Pak Singles are perfect for displaying on Countertops, Pegboards and Clip-Strips. Each package contains "6" factory fresh individually wrapped "Wonder Wafers" of the same fragrance type in a re-sealable Clamshell Container. 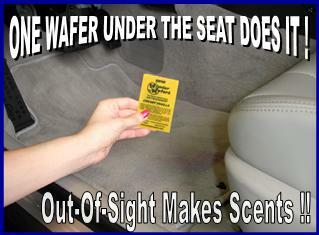 The Clamshell is perfect for storing your unused Wafers! The Original "Super 6 Pak" now comes in 24 Different Fragrances. Each Super 6 Pak is only 3” wide, 5.5” tall, and 3/4” deep. You can get up to 16 Super 6 Paks on a 12” pegboard hook. With over a 1/2 Billion Wonder Wafers sold Worldwide and thousands used everyday, you can be sure they will fly off the shelves. 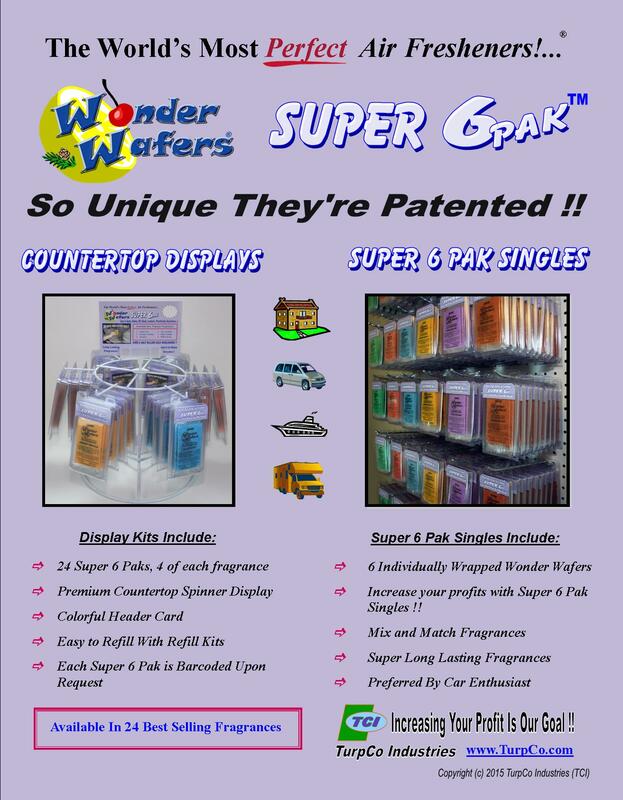 I've been using Wonder Wafers Super 6 Paks for the past few years, and they are great. I love the handy Clamshell they come in, it is so nice to store the unused wafers in. Thanks TurpCo for making this product available online! Wonder wafers super six paks are a fun idea. I use them in my car and new leather is my fav. The clamshell is great to store them in until I'm ready to use them. I will purchase more. Q: How Many Wonder Wafers Super 6 Paks Come in a Case? A: There are 48 per case.